Well known Europhile and Gravy Train rider Lord Kinnock has come out with a savage blast at Jeremy Corbyn for his stance on Brexit. The majority of Labour MP's and Shadow Cabinet are soild remainers but Corbyn is a well known Euro- Sceptic and has been having to tread a fine line in keeping his MP's from revolting. 20,000 apparently "Blairite" members of the party emailed Labour last week demanding that they be consulted on Brexit and the NHS and for the party to come up with a more coherent strategy on the issue. Labour Party donor Stephen Peel has put even more pressure on Corbyn by giving £100,000 to the Soros backed campaign Best for Britain. 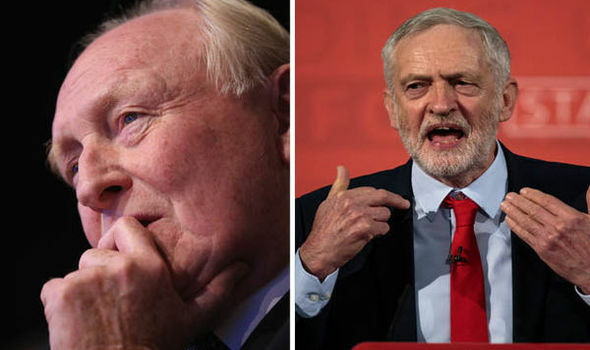 Kinnock attacked Labour and Boris Johnson on the NHS: “Even contempt for ‘experts’ cannot obscure the evidence that the Johnson-led Brexit vote has already damaged and will inflict future harm on the NHS. If Johnson really wanted the extra NHS spending, which is sorely needed, he wouldn’t be using the issue as a ploy to feed his lust for the Tory leadership but would be working to end Brexit. Shadow Cabinet members are set to confront Corbyn this week over Brexit. Do you agree we need a Full & Clean Brexit? Read: "Soros-Funded campaign will hold festival to 'Stop Brexit' "